The sudden passing of His Holiness in November of this past year has been a profound teaching on the inexorable nature of impermanence and a reminder that the moment to practice the dharma is now. Our love and gratitude go out to all who joined us in person, remotely and through butterlamp and tsog offerings during the 49 day practice following his parinirvana. On a warm August afternoon over 8 years ago, during a break between the teachings of Dudjom Lingpa’s Nangjang and T’hroma Nagmo practice, His Holiness Getse Rinpoche unexpectedly gave Lama Shenpen instructions on the design of a Stupa to be constructed at Iron Knot Ranch upon his passing. A stupa is a symbol of enlightened mind and the path to its realization. It is a sacred repository of consecrated substances, including the relics of enlightened masters. After a teacher passes away, a stupa serves as a structural body in which the teacher’s awakened mind resides, a symbolic body wherein students can still meet their teacher, express their devotion and invoke the teacher’s wisdom. It is filled with many precious substances, thousands of mantras, tsa tsas (small clay stupas and images), statues, precious and semi-precious jewels, crystals, gold, silver, brocades and auspicious foods, earth, wood, and water from around the world, all of which have been consecrated through extensive ceremonies. A stupa created upon the passing of H.E. Chagdud Tulku Rinpoche, resides on the Iron Knot Ranch shrine and has subsequently been refurbished with gold leaf and jewels. This vast accumulation of sacred and auspicious substances, which have been imbued with prayers on behalf of all living beings, carries the force of immeasurable benefit for all those with connection to it. It is a sacred presence which radiates peace, harmony and healing throughout the world. Anyone who makes connection to it – through helping in its creation to seeing, touching, remembering or hearing the wind that blows by it – receives the blessings of enlightened mind. The seed of their own enlightenment is firmly planted if they bring to that connection the wish for all beings’ ultimate benefit and happiness. In the short term, one’s life can be extended, the effects of one’s harmful actions purified, obstacles can be pacified and positive qualities enriched. 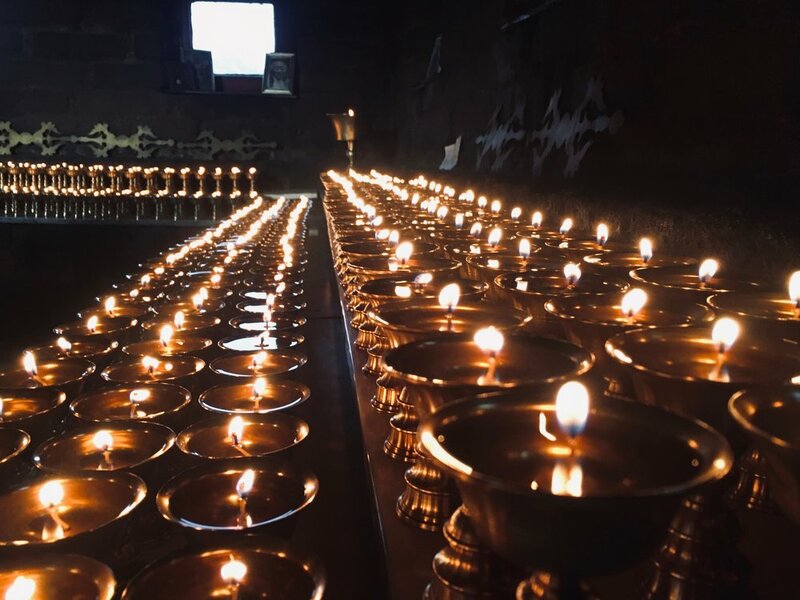 It is said that wishing prayers made in the presence of a stupa or through participation in its creation will be fulfilled, so it is crucial to make one’s motivation as altruistic as possible. It is the purity and magnitude of one’s own aspiration that blends with the enlightened intention of all Buddhas and bodhisattvas embodied in the stupa that creates the auspicious circumstances for the fulfillment of one’s wishes. To play any role in the preparations, construction, consecration, maintenance and honoring of a stupa establishes an intimate connection between ourselves and the lineage of enlightened mind. It provides a means for averting all that is inauspicious or counterproductive, suppresses negativity, wards off the causes of strife and assures all that is auspicious and supportive of spiritual development, and ultimately, enlightenment. As well, participation in the creation and honoring of a stupa supports the fulfillment of short term goals for oneself and those to whom our merit is dedicated, including health and longevity, prosperity, peace and harmony. 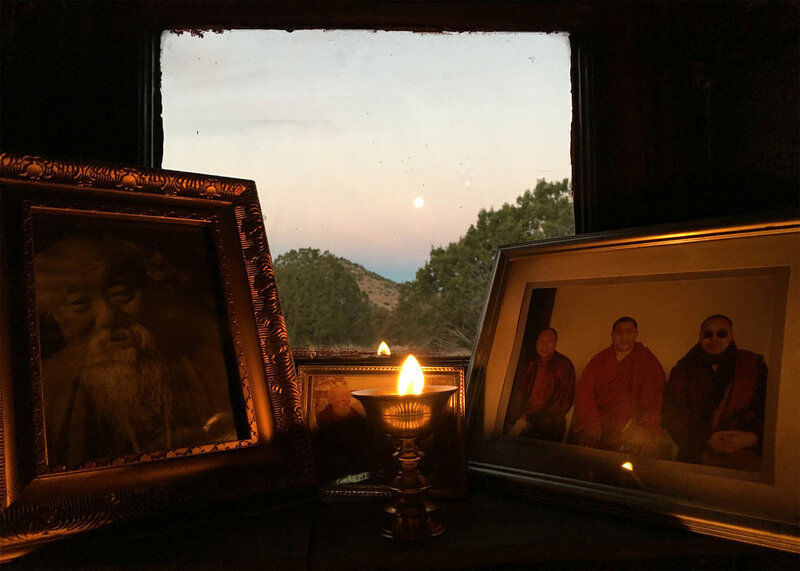 Over the coming months, Lama Shenpen and the Iron Knot Ranch sangha will begin the activity to bring His Holiness’s vision of a stupa at Iron Knot to fruition, and warmly invite you to participate in this vast accumulation of merit and the strengthening of interdependence between ourselves and this sublime master. As the schedule for stupa related activity becomes clear, we will be posting the dates so anyone who wishes to participate can plan accordingly. We look forward to working with and alongside each of you.